Restaurant owners have tough decisions to make when designing the perfect dining space. You need the wow factor to attract patrons at their entrance, but the right atmosphere goes a long way in giving them a reason to return…in addition to fabulous food of course! 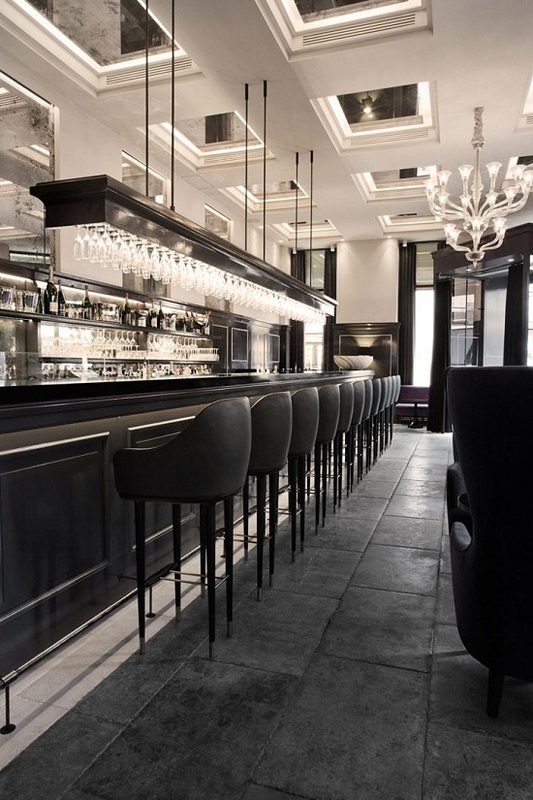 The overall style of the restaurant plays the largest part in choosing the perfect barstools and chairs to act as the foundation of the space. The ideas here should act as inspiration to not only update the restaurant’s style, but provide alternatives to your seating. 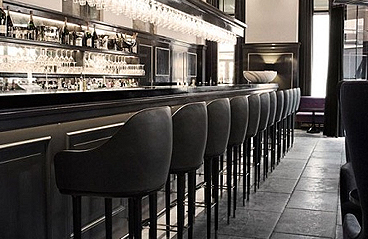 Blend the perfect barstools with stylish and comfortable chairs to give patrons something else to brag about. The combination of luxury and comfort in this space is evident in the mid-rise back barstools and the cozy, extra-high back lounge seating. 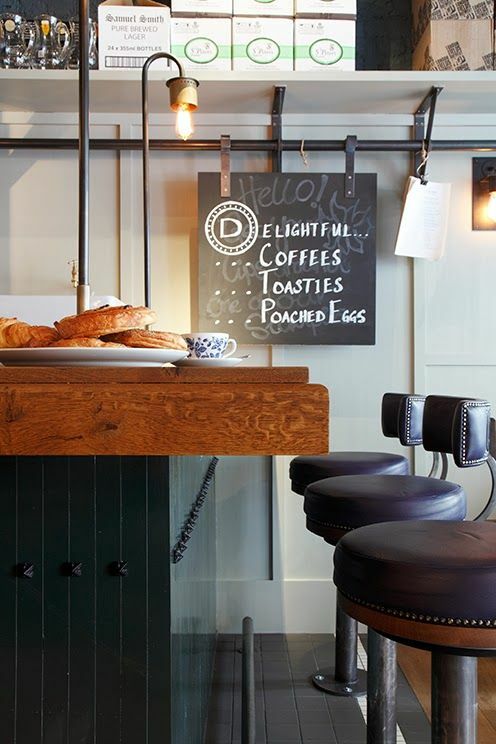 The short-back stools used in this bistro complete the look and feel of a cozy atmosphere perfect for a cup of coffee and a pastry! Guests are sure to feel welcome to stay for a second cup and maybe even invite a friend. Whether your bar is in a cooking school like this one or simply has a view to showcase, use the structure and color palette to help in your choice of barstools. In this case, the barstools were chosen to compliment the window frames and overhead lighting without taking away from the festive, fun palette chosen. 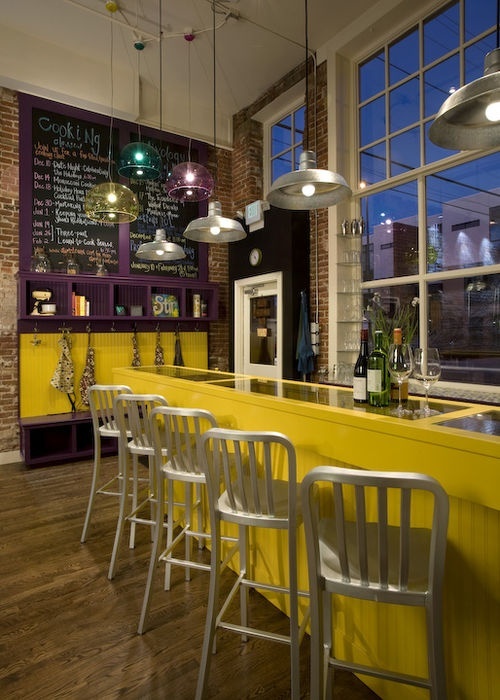 The simple yet sleek look of backless barstools keep a space looking uncluttered and open. 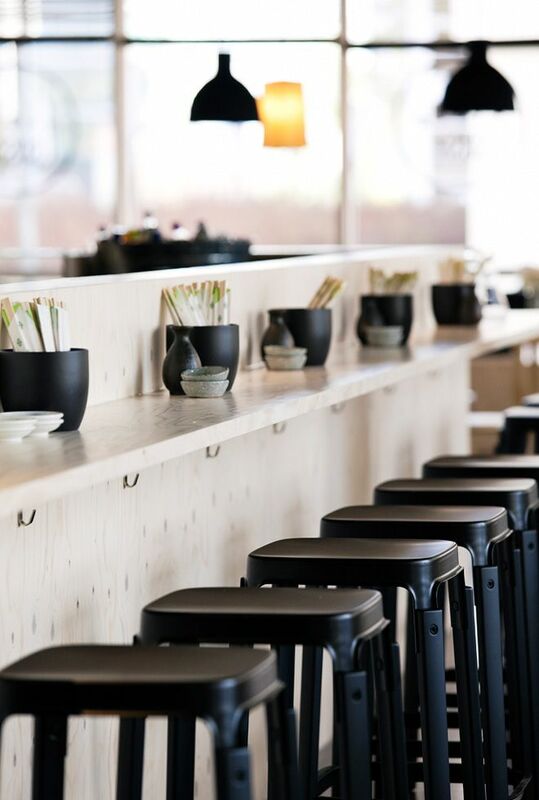 No matter the size of your restaurant or bar area, backless stools can provide comfort for the perfect amount of time patrons will be sitting.